When was the last chance your family had an opportunity to solve problems and build stronger relationships in a beautiful, 27 acre bucolic compound while horses ran freely and gave input on your communication and dynamics? If texting has taken over the dinner table and relegated the kids to a sedentary and uninspired life …come build stronger bonds and enhance family relationships at the farm! Siblings, want to show your parents what really makes you tick and have them actually listen? Stop living on different planets for a short time and share some laughter. You have probably done the ropes course, the beach, the batting cage, golf , tennis and theatre but have you ever moved horses through obstacles without any halters? There is NO RIDING required — just a sense of adventure, creativity and commitment to having a good time and learning a bit about yourself and your family. You may even find a balance between gaming and culture! 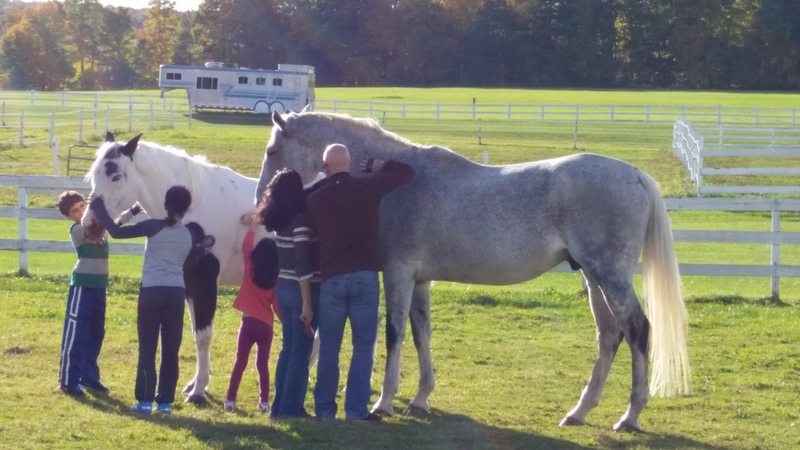 Berkshire HorseWorks offers a fun, interactive and experiential way to navigate through family dynamics in a non-threatening, playful environment. Run with the horses and see how our sessions help families re engage, connect, and discover positive solutions to real life demands. Horses are innately sensitive and open – interaction with them serves as a mirror of emotions and behavior. Empowered by the lessons learned as horses and humans work together to bridge communication and identify incongruities, families become stronger, healthier and learn to smile a bit more. The energy, attitudes and behaviors learned will actually translate back into your daily lives. Led by EAGALA trained and certified professionals, the Berkshire HorseWorks approach cultivates stronger, healthier, family relationships. The EAGALA Model is utilized in 50 countries around the world. 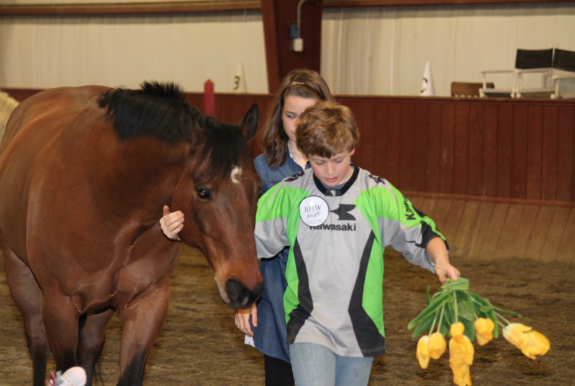 Rain or shine, Berkshire HorseWorks provides sessions, and half and full day workshops. Times and days are flexible but must be booked in advance. Please call Hayley Sumner at (413) 698-3700 with any questions or to schedule a time to play!